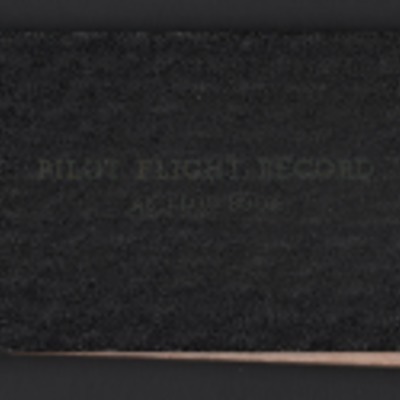 Temporal Coverage is exactly "1943"
Pilot Flight Record and Log Book for Pilot Officer Cyril Charles Goff from March 1942 to May 1943. 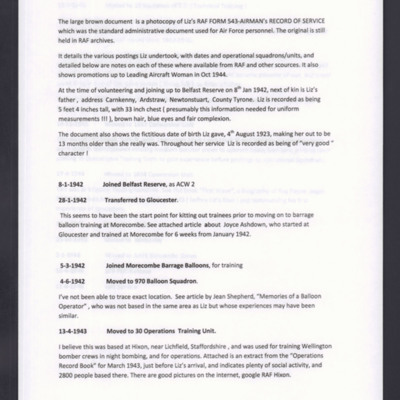 Detailing Arnold Scheme training schedule in the Unites States at Americus, Montgomery, Albany and later at RAF Perton. 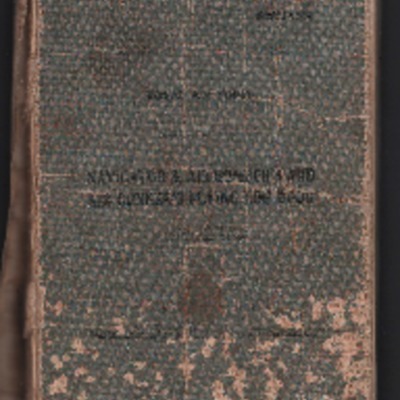 A memoir of David Storey's service from 27 May 1943 to April 1944. 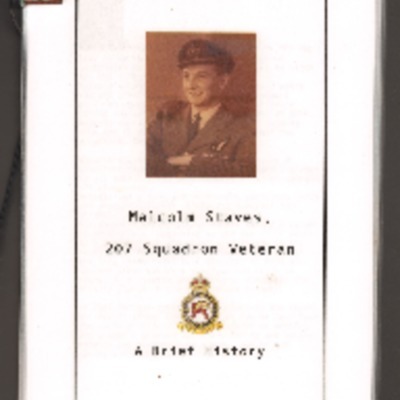 He describes his 32 completed operations as a navigator on Halifaxes and including details of incidents and aircraft losses. Ernest Smith with his crew. Ernest with his six crew on completion of his second tour on 12 Squadron. 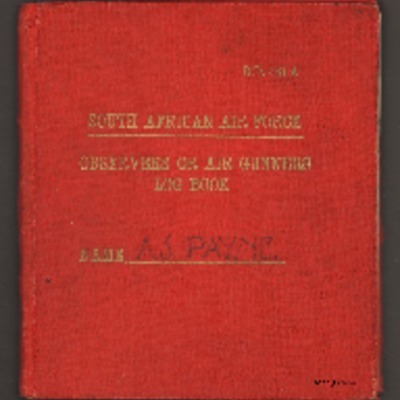 Crew signatures on photograph margin: 'A G Luke; A Van Hul; J Calles; G Parker; W H Newman; E W Smith; L G J Street'. 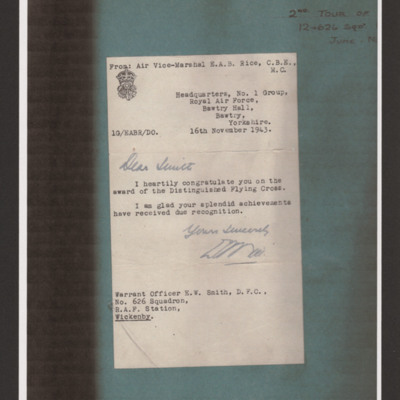 Album page including letter from Air Vice Marshal E A B Rice, 1 Group, congratulating Warrant Officer E W Smith on the award of the Distinguished Flying Cross. 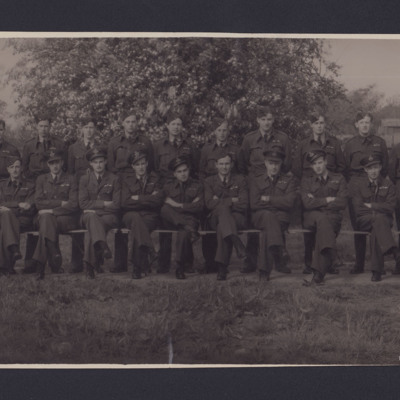 Caption on page '2nd Tour of Ops 12-626 Sqn, Wickenby, Lincs June - Nov 1943'. 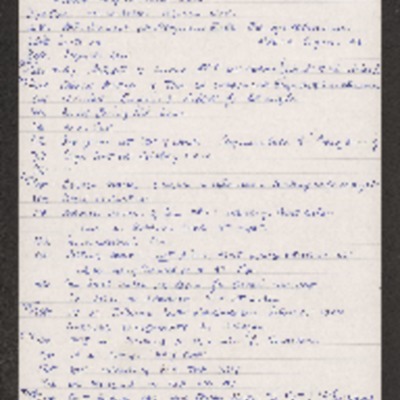 Copy of a day by day diary kept by Malcolm Staves from 26th April 1943 to 6th January 1945. Covers training, lectures, gardening and cleaning tasks. Also covers his social life and home leave. 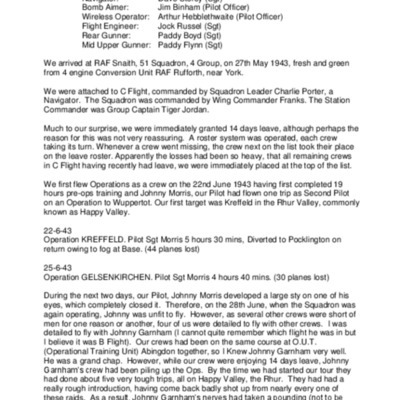 Jim Penny flew operations as a pilot with 97 Squadron from RAF Bourn until his aircraft was shot down over Berlin 24th November 1943 and he became a prisoner of war. 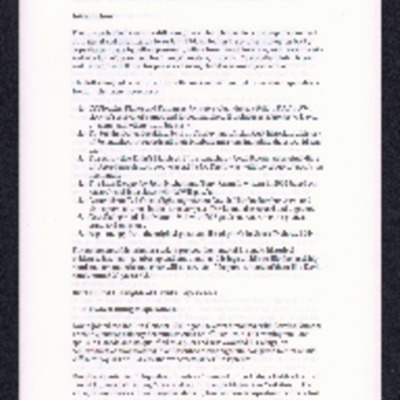 A permit allowing Malcolm Staves to enter St Andrews, Hull to attend his place of work. 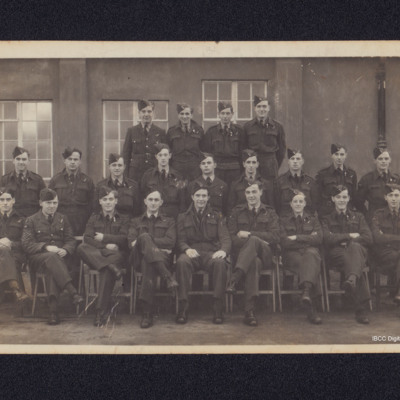 Formal photograph of 22 aircrew with half wing brevet, in three rows in front of a building. On the reverse 'Judy Whitchurch Not 44851', ' 1943'. 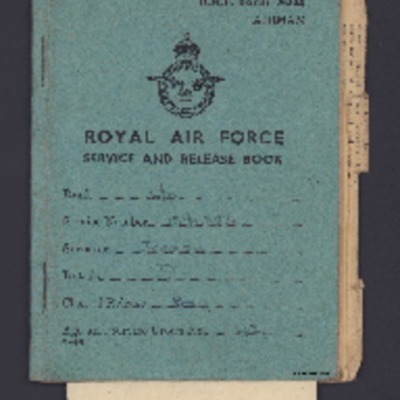 David Joseph's Form 2520A, Service and Release Book from 27 October 1941 to 2 February 1946. 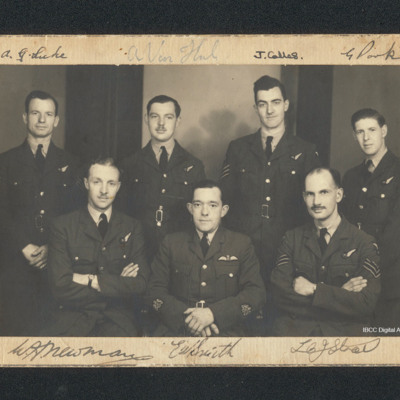 Includes David Joseph's service in the RAF, his training in Canada and his operations on Halifaxes at RAF Holme-on-Spalding Moor and his movements after being shot down 18 March 1944 and becoming a prisoner of war. 21 seated airmen arranged in two rows. Large tree and single storey buildings in background. On the reverse is 'AFU, Ossington. 1943'. David Joseph is third from the right on the back row. 35 airmen arranged in four rows. David Joseph is on the rear row, fourth from the left. On the reverse '17. 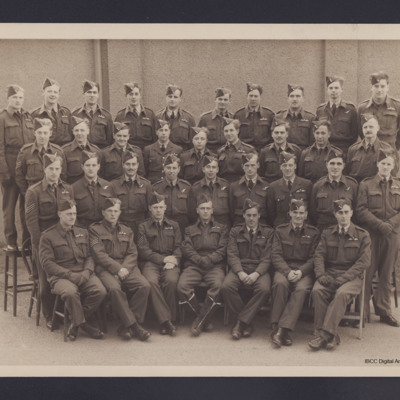 Pre-AFU Course, Perth April-May 1943' and 'Subject back 4th from left'.